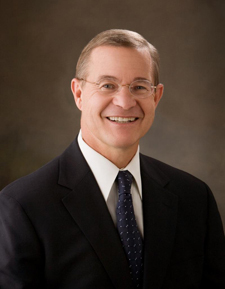 Kent B. Scott is a shareholder in the construction law firm of Babcock Scott & Babcock. As a trial attorney for thirty-seven years, he has been primarily engaged in the prevention and resolution of commercial and construction project disputes. Kent has mediated over 350 construction and commercial disputes and arbitrated more than 150 construction and commercial disputes ranging from a few thousand dollars to fifty-four million dollars. Cases mediated include issues dealing with mechanic’s liens, payment and performance bonds, contract interpretation, defective construction, delay, disruption, acceleration, scheduling, design, contract performance, insurance coverage, change orders, differing site conditions, suspension, termination, surety payment and performance bonds, and project damages. Kent is a member of the American Arbitration Association’s National Panel of Mediators and Arbitrators (Large Complex Case Panel), and former member of the American Arbitration Association’s National Faculty for Basic Arbitrator Training. He also serves as a member of the Utah District Court’s and the United States Federal Court’s Roster of Neutrals. Kent is a founding member of the Construction Law Section of the Utah State Bar (former Chair) and a founding member of the Dispute Resolution Section of the Utah State Bar (former Chair). He also served as the Chair of the Litigation Section and The Delivery of Legal Services Section of the Utah State Bar. Kent is currently serving as the Chair of the Utah Supreme Court’s Construction Law Sub-committee on Model Jury Instructions. Kent serves as a member of the American Bar Association’s Dispute Resolution Section, Forum Committee on the Construction Industry and Fidelity and Surety Committee of the Torts and Insurance Practice Section (TIPS). “Questions Clients Have about Whether (and How) to Mediate and How Counsel Should Answer Them,” Dispute Resolution Journal, May/July, 2008. “Maneuvering Through Mediation,” Utah State Bar Journal, Sept. /Oct. 2005. “The Construction Attorneys’ Toolbox – Building Solutions,” UTAH STATE BAR JOURNAL, vol. 19, no. 9. “Utah’s Revised Uniform Arbitration Act, A Makeover for the Face of Arbitration,” UTAH STATE BAR JOURNAL, vol. 16 no. 9. Rate: $300 per hour. Travel time not billed. Travel costs billed. Conference rooms for mediation and arbitrations available at no charge. No cancellation fees.